Why buy a Second Nature kitchen from Units Online? Units Online are able to provide a choice of over 60 Second Nature kitchens at prices you won't find lower compared to other companies who supply only kitchens. We are Second Nature stockists allowing you to select from the full range of Second Nature kitchens online. This includes the full 30 painted colour palette, new for 2019, which is available on a number of ranges. We offer the Second Nature German collection of true handleless kitchens for the Porter, Inzo, Feature and Tomba ranges. View True Handleless kitchens. By purchasing a Second Nature kitchen from the Units Online kitchen collection you can save £000s compared to buying the same kitchen from the UK high street, whilst still maintaining the highest quality and the best service. We offer delivery across the UK, including London. Remember we also offer a best price guarantee on all Second Nature kitchens ensuring you pay the best kitchen price on the internet. From the Second Nature German collection we supply a new range of true handleless kitchens for the Porter matt and gloss, Ellerton, Feature Doors and Tomba. Second Nature kitchens provided by Units Online include Fitzroy, Broadoak, Milbourne and Milton together with many kitchen styles. Select from Second Nature shaker kitchens to inframe, handleless and high gloss finishes. We also offer a large variety of units such as kitchen corner units and tall units in different sizes across the whole Second Nature range. Please contact us for more details on the units available. Across alll ranges we can provide a smaple door. If you would like to get a Second Nature sample door then please visit our Samples pages or give us a call. The kitchen doors are designed by an experienced team in the UK and Second Nature products often win many nationwide awards. Their designers use the latest innovations from around the world to ensure their kitchen designs offer the best in materials, colours and textures ensuring you get the perfect kitchen. Units Online supply a range of their kitchen styles to meet all requirements covering classic to modern with finishes from wood to painted. 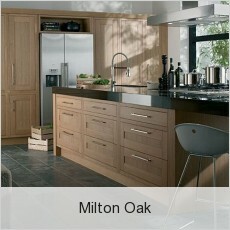 With such a large range we are sure there will be a Second Nature kitchen door to meet your requirements. At Units Online we continually check our prices to ensure, like for like, they are the cheapest on the internet. We offer a best price promise on our prices as a guarantee you will pay the lowest price. Each Second Nature kitchen has the units and door matching items priced individually and cabinet sizes can be customised to meet your exact requirements as we know every kitchen is different. All the prices shown on the Units Online website are competitive and the kitchen units will be delivered fully assembled, which includes the fitting of all doors and drawers which is also included in the price. 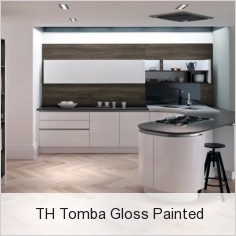 For a number of Second Nature kitchens you have the option of selecting a painted finish. Each colour gives a fantastic finish to the Second Nature kitchen. These colours can be mixed throughout the kitchen to create a unique kitchen finish. As from March 2019 the colour choice has been revised. There is now a standard 30 colour palette across the Second Nature range. The colour palette gives plenty of choice across many shades. The full palette of Second Nature painted colours is shown here. 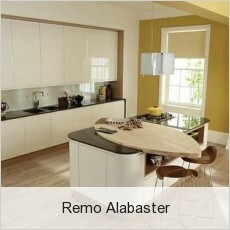 Please see the individual kitchen ranges for the specific colours available. Please note some painted colours are available from stock which gives a shorter lead time for delivery. The new Alchemy kitchen range has been created to reflect today's lifestyle yet reflecting heritage. A collection of five classic styles has been developed. These collections offer a fantastic range of products, flexibility and detailing to meet the requirements of a modern classic kitchen. For more information on the Alchemy kitchen styles then please visit our Alchemy page.